Bringing together theoretical and empirical research from 22 countries in Europe, North America, Australia, South America and Japan, this book offers a state-of-the-art survey of conceptual and methodological research and planning issues relating to landscape, heritage, [and] development. 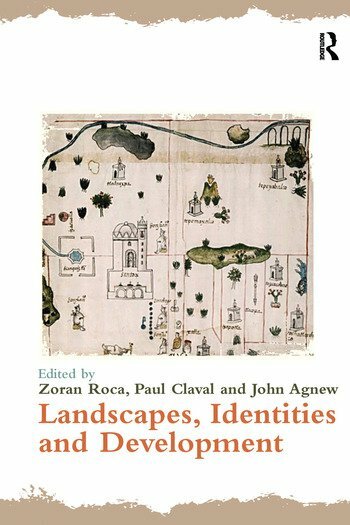 It has 30 chapters grouped in four main thematic sections: landscapes as a constitutive dimension of territorial identities; landscape history and landscape heritage; landscapes as development assets and resources; and landscape research and development planning. The contributors are scholars from a wide range of cultural and professional backgrounds, experienced in fundamental and applied research, planning and policy design. They were invited by the co-editors to write chapters for this book on the basis of the theoretical frameworks, case-study research findings and related policy concerns they presented at the 23rd Session of PECSRL - The Permanent European Conference for the Study of the Rural Landscape, organized by TERCUD - Territory, Culture and Development Research Centre, Universidade LusÃ³fona, in Lisbon and Ã“bidos, Portugal, 1 - 5 September 2008. With such broad inter-disciplinary relevance and international scope, this book provides a valuable overview, highlighting recent findings and interpretations on historical, current and prospective linkages between changing landscapes and natural, economic, cultural and other identity features of places and regions; landscape-related identities as local and regional development assets and resources in the era of globalized economy and culture; the role of landscape history and heritage as platforms of landscape research and management in European contexts, including the implementation of The European Landscape Convention; and, the strengthening of the landscape perspective as a constitutive element of sustainable development.